Between November 9 and 10, 1938, a series of pogroms – violent attacks on a distinct ethnic group – were perpetrated in Greater Germany. Better known as Kristallnacht (the night of broken glass), in reference to the shattering of the broken shop windows during the attacks, these antisemitic acts of violence were instigated by Nazi leaders. During Kristallnacht, ninety-one Jews were murdered and between 25,000 and 30,000 Jewish men were arrested and deported to concentration camps, such as Dachau, Buchenwald and Sachsenhausen. More than two hundred synagogues were burned — the firefighters were given orders not to put out the fires — while thousands of Jewish homes and businesses were ransacked. This attack is considered a decisive turning point in the systematic Nazi persecution of Jews. Our authors testify to the rising persecutions that preceded Kristallnacht, along with describing Kristallnacht itself. 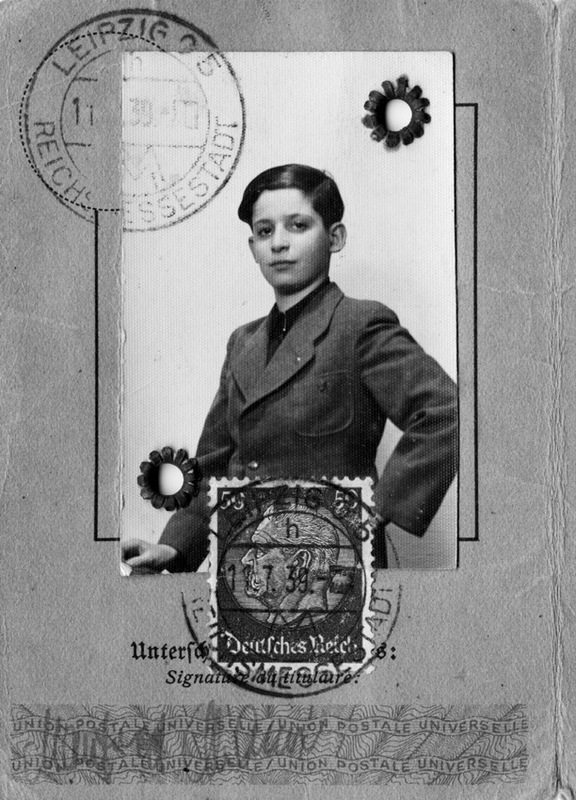 Fred Mann’s German identity card issued in Leipzig, July 11, 1939. Joseph Schwarzberg’s memoir, Dangerous Measures, is set to be released on November 25, 2018, and will be available for order here. In the current political climate, it is our duty to remember Kristallnacht, which serves as an important reminder of the need for tolerance and respect for others. For anyone wanting to participate in this commemoration, events are being held across Canada, including in Toronto, Vancouver and Montreal. Learn more about the personal experiences of Holocaust survivors whose memoirs have been published by the Azrieli Foundation. After the Nazi occupation of Poland on September 1, 1939, Rabbi Hirschprung’s peaceful shtetl of Dukla, in the eastern Polish region of Galicia, almost immediately changed into a town marked by fear, insecurity and uncertainty.